Mark Hiepler was recently named one of the 100 Most Influential Lawyers in America by the National Law Journal and one of the 20 Most Influential Attorneys under age 40 in California by California Law Business. Mr. Hiepler's jury verdicts, beginning with the record setting $89.3 million dollar bad faith verdict on behalf of his late sister, have been featured on national television shows such as "60 Minutes," "20/20," "Nightline," "Burden of Proof," "Primetime Live," "NBC's Nightly News with Tom Brokaw," "The Today Show," and "The Oprah Winfrey Show" and in national publications such as Newsweek, Time, U.S. News and World Reports, USA Today, Wall Street Journal, New York Times, Chicago Tribune, Los Angeles Times, Medical Economics, Health Magazine, California Medicine, Glamour, Reader's Digest, and the National Law Journal. A chapter in "Greatest Closing Arguments" was dedicated to this case and featured Mr. Hiepler's closing argument. In one of several "60 Minutes" interviews, reporter Morley Saffer called Mr. Hiepler "the nemesis of the HMO industry." In addition to securing some of the nation's largest and most publicized jury verdict awards in the health care arena, Mr. Hiepler was voted one of the "Top Ten Trial Lawyers in the Nation" by Trial Lawyers for Public Justice and “One of California's Top 100 Most Interesting and Influential Healthcare Leaders" by readers and editors of California Medicine. 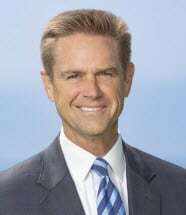 He has been appointed by the California Legislature as a Member of the Governor's Health Care Service Plans Task Force, and was invited to the White House where he discussed health care issues with President Clinton. He regularly serves as a key note speaker at physician, patient and insurance conventions throughout the United States and abroad. Mr. Hiepler was recently honored with a nomination to the International Academy of Trial Lawyers, an association of only 600 attorneys in the world who are deemed to be exceptional trial attorneys based on nomination by a judge and following an extensive one-year process involving inquiries to other judges and people of influence in the national legal community. Recently, Mr. Hiepler obtained a $12.5 million jury verdict (record setting for a personal injury matter in Ventura County) on behalf of the family of a physician killed while riding his bicycle. Mr. Hiepler's publications include "Irreconcilable Differences: Why the Doctor Patient Relationship is Disintegrating at the Hands of Health Maintenance Organizations and Wall Street" published in the Pepperdine Law Review. Mr. Hiepler handles wrongful death, catastrophic injury and insurance denial cases throughout California and the United States. He currently represents a group of clients in wrongful death and catastrophic injury cases arising out of the September 12, 2008 Chatsworth Metrolink train collision, the largest train accident in U.S. history. Mr. Hiepler's fellow attorneys selected him to be among the small group of plaintiff attorneys/law firms appointed by the Court to develop the liability aspect of the cases for all of the victims of the tragic collision. Mr. Hiepler is married to Michelle, also a partner in the law practice, and has three children, Sarah, Ryan and Paul.